Star brite, manufacturer of Star Tron Enzyme Fuel Treatment, is proud to announce the addition of Lisa Morris and Jason Spafford to the Star Tron Powersports Pro Staff. 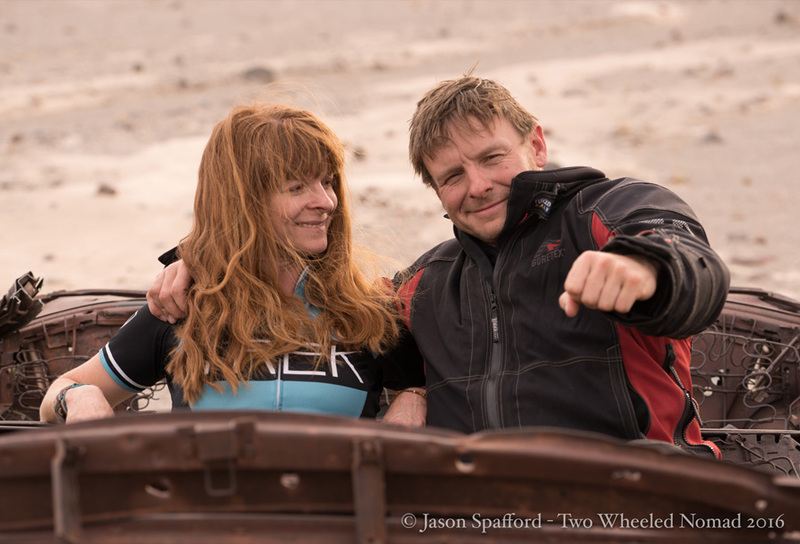 Known for their Two Wheeled Nomad social media outlets and blogs, Lisa and Jason began their adventure in 2014 when they rode their dual sport motorcycles onto a container ship and crossed the Atlantic from Belgium to Montevideo, Uruguay to explore the places that can only be found after the paved roads end. That first trip inspired many others, and the adventure is still underway. The two have racked up tens of thousands of miles on their bikes as they crisscross the globe, documenting their adventures on their website, Facebook, Instagram and YouTube. The website hosts a blog while their huge gallery of films and Jason’s world-class photography can be accessed via the website and social media outlets. Lisa and Jason are ideal ambassadors for Star Tron as they often find themselves having to use whatever fuel they can find. Star Tron’s unique enzyme technology helps eliminate fuel problems to ensure that engines run strong. When used at every fill, Star Tron keeps fuel systems and engines clean for maximum power, performance and fuel economy. They also rely on the Star brite line of powersports cleaners and protectants to keep their bikes looking as good as they run. Follow Lisa and Jason as they explore the world: TwoWheeledNomad.com, Facebook.com/twowheelednomad, Instagram.com/twowheelednomad and their YouTube channel. For more information on Star Tron and the wide range of Star brite products, visit http://www.starbrite.com/startron or call (800) 327-8583.